← Is Nicolas Old Enough for “The Maze Runner”? Nearly two decades after the work that secured his fame as a public Christian intellectual, C.S. Lewis wrote a follow up to The Screwtape Letters. 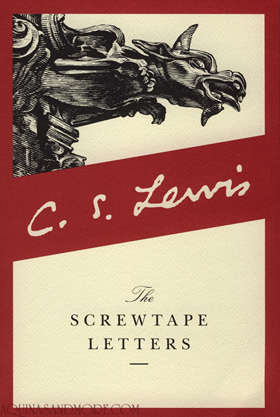 Lewis never thought Screwtape was worth the fuss, and he struggled to write from the demonic perspective in the original WWII-era Letters. 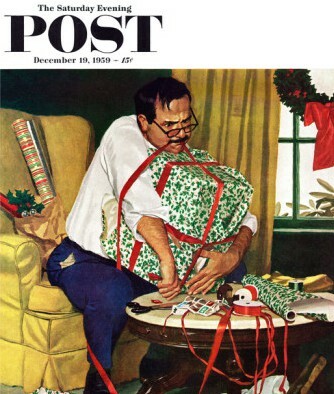 It wasn’t until 1959, nearly twenty years later, that he agreed to finally write a follow up for The Saturday Evening Post. The setting of the two eras is quite different. In 1941, Lewis is just past 40. He is a new voice in the public conversation and a rising star of Christian book writing. He knows he has the stuff to write popularly, translating his ideas so that they were accessible to most. By 1959, when Lewis was 60, he described himself as a dinosaur. He had written most of his best work, and though he had fallen in love and married, his wife was quite ill. Lewis was a different man twenty years later. The context of the Letters is also different. The original Letters were written to war-time Britain, to a post-Christian culture still filled with nominal or cultural Christians. The world had teeth. It was a dangerous place to live, and ideology made a difference in real life. Technology had turned its ugly face to war, and one of the world’s greatest democracies had betrayed the rest. In 1959, Lewis chose to write to an American audience. America in 1959 is on the edge of a new decade. 1950s U.S. had the greatest family and economic growth of its history. It is a generation with the victory of WWII in their experience, but a less firm sense of victory in Southeast Asia–which will soon become the highly contested Vietnam War. The Cold War is heightening, the Cuba Missile Crisis is around the corner, and the Dalai Lama and thousands of Tibetans are on the run from Chairman Mao’s China. America has just elected a young Roman Catholic visionary who will promise to beat Russia to the moon. The Beatles are practicing their music, ready to drop their first record in 1960 and change the world on Ed Sullivan in 1964. Racial integration, Martin Luther King Jr., Frank Sinatra, Ben Hur—the time was right for some of the best times in one of the strongest countries of the world. Yet, even given his distance and the fact that he was a “dinosaur,” Lewis could see the potential for a downward turn for America. He tackles two things in this follow up to Screwtape–education and individualism–showing how the word “democracy” could be twisted to rob people of individuality, ingenuity, and spiritual strength. The genre this time changes a little. We have in 1959 a toast at a graduation banquet rather than a letter. More than the original Screwtape Letters, perhaps, the Toast is an incisive public critique of education, social politics, and cultural shifts in worldview. I also think Screwtape Proposes a Toast gives us another angle to Lewis’ The Abolition of Man: the world behind Screwtape’s speech in 1959 is really the dystopia of “Men Without Chests.” It is a critique that is still relevant today, and possibly prophetic, at least for those who have ears to hear. Although the Toast has been circulating online for some time, The Saturday Evening Post has chosen to release it to the public on their website. What the SEP release does is to allow us to see the letter in the magazine (the PDF is essentially a photocopy) in its original layout with a giant mug shot of Sir Lewis, as well as a poem and a cartoon that seem remarkably out of place. It is well worth a peek. Despite the lack of high quality “food”—human souls—there is a lot of it. Step 1: Make sure that children never feel they are inferior. Self-esteem is the most important thing. Step 2: Change curriculum to match the lowest level of student. While it would be fun to destroy the freedom of free people, the real end is the individual in hell. Toast: The Pharisee is in Stock! This entry was posted in News & Links and tagged abolition of man, America, C.S. Lewis, Education, Men Without Chests, Screwtape Proposes a Toast, The Screwtape Letters, Theology of Culture. Bookmark the permalink. Oops, SEP: “professor of Medieval and Renaissance English Literature at Oxford” (photo caption, p. 36)! Thanks for bringing the online release to our (my, anyway!) attention, and for reflecting on it in context and highlighting its riches! There is also a “Doctor Lewis” reference–one he wouldn’t use, despite the honourary doctorate. Well caught! You’ve mentioned that ch. 9 a couple of times. I’m working on an idea about Lewis’ shift to self-analysis as a method of theological reflection. The Great Divorce is the stage play of The Screwtape Letters. Both work out the principles of Problem of Pain (highlighted here and there in the Broadcasts). I’ve spent some time linking it all in outline, but it is actually the new space my PhD thesis is taking. “Them” is a frightening word! I hadn’t thought through the publishing history. 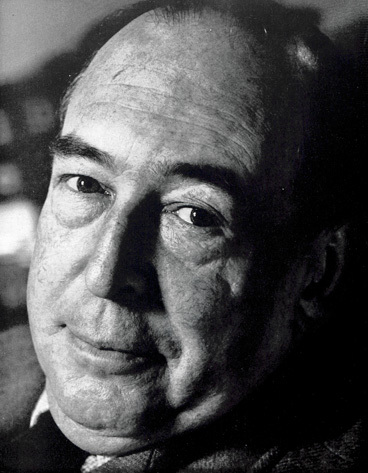 Lewis was working cogently with publishers on the 1960 essay book, and wrote the preface to the 1965. It perhaps highlights the rise star of Lewis in the US, and the relative shoulder shrug in the UK.